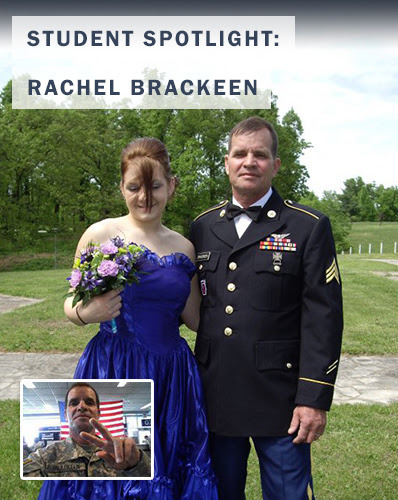 Rachel Brackeen is the daughter of fallen U.S. Army National Guard Sergeant Clifford Brackeen. “He absolutely loved every minute of being able to serve his country and fight for our freedom,” she explained. He proudly served for 8 years until his death on September 28, 2014 when a motorcycle accident on his way to National Guard training took his life. 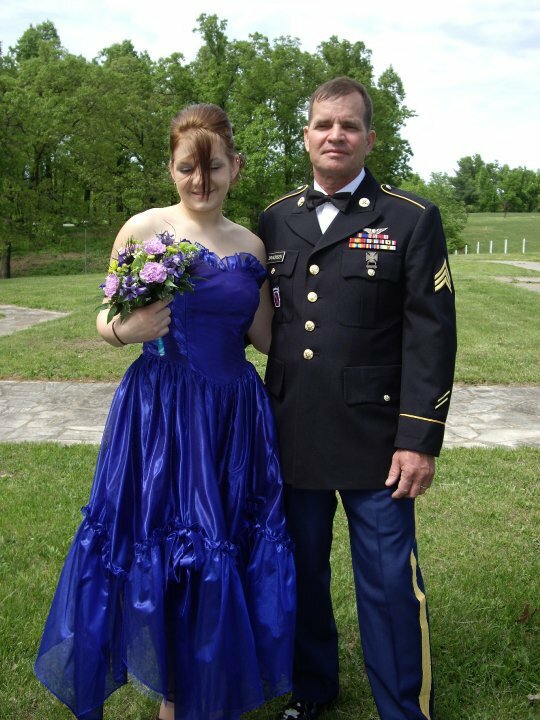 Rachel’s father showed her what dedication, honor, respect and self-sacrifice looked like. He spent two years petitioning military officials to allow him to re-enlist after 9/11 happened. He did push-ups on the White House lawn and found representatives to plead his case. “Finally, at the age of 51, he was sworn back into the military. He may have been old, but he was faster than the guy who graduated high school with my sister,” according to Rachel. With the help from Children of Fallen Patriots Foundation (Fallen Patriots), Rachel is pursuing a nursing degree at Southwest Baptist University. “My dad would be most proud of me for taking that first step. I always said I would go to college to become a nurse, but I would never enroll myself in school. Shortly after he was killed, I took the initiative to finally get the process started. I just needed to take the first step,” she explained.